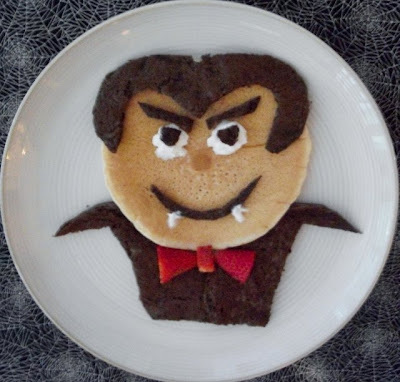 Halloween lunches for kids: Dracula Sandwich and Dracula Pancakes! This is another fun Halloween lunch that we made for New Jersey Family Magazine that is now out in the October issue. Dracula Sandwich and Dracula Pancakes! 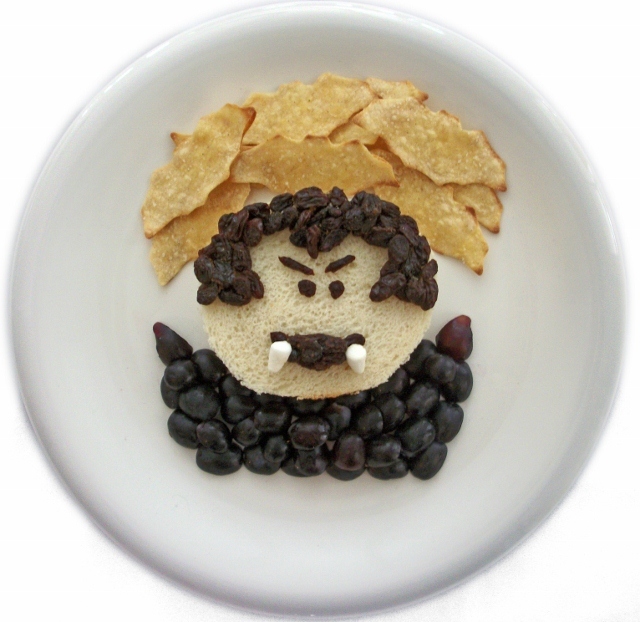 for teeth; add grapes to look like a cape. Preheat oven to 350°. Cut tortillas into bat shapes with bat cookie cutters. Place tortilla shapes on a cookie sheet and spray with cooking spray. Flip them over and spray the other side. Bake about 10 minutes, turning after 5 minutes, then sprinkle with kosher salt.